Permitted Development Class Q – Barn Conversions - Tom Spriggs Architect "
If you have an agricultural barn, it is possible to convert it into a house without formal planning permission. This opportunity exists in an effort to bring unused redundant buildings into viable use. It can be argued that sometimes the ‘loophole’ is abused and unsuitable sheds are poorly converted to sub-standard homes. However as the legislation matures and planning authorities and the courts begin making precedents, the opportunities can be great. As a rule, new rural homes are not generally permitted, the idea being to keep development out of the open countryside. However where a barn building exists, these can be utilised. Part of the General Permitted Development Order permits the change of land use, and allows certain physical changes (within certain limits) to make the barn habitable without needing full planning permission. Specifically the permission is dealt with by Class Q of Part 3 of Schedule 2 of the Town and Country Planning (General Permitted Development) (England) Order 2015. There are size thresholds, other limitations and conditions associated with the rights. Below is a simplified outline summary but serves as a good checklist to get the ball rolling. Most of the qualifying criteria are to ensure the barn is redundant or surplus to need, and to prevent new barns being built for the sole purpose of then getting change of use to a dwelling. You need permission from any current agricultural tenants, and permission cannot be granted if a tenancy has been terminated within 1 year unless agreed in writing it is no longer needed for agricultural uses. The building must be structurally capable of the conversion. New or reinforcing of the structure is not permitted, but an independent mezzanine floor is permitted. There have been recent court proceedings that have attempted to clarify what amounts to ‘conversion’. The term is heavily relied upon in the legislation, but it is a sliding scale of intervention and construction, under the umbrella term of ‘Conversion’. Unfortunately it is still largely a judgement call, making the whole process a bit of a coin toss in terms of success (Obviously a sympathetic design and well rounded arguments will help). The most significant case recently was the case of Hibbitt and another v Secretary of State for Communities and Local Government (1) and Rushcliffe Borough Council (2)  EWHC 2853 (Admin). In this case the barn in question was a typical open sided ‘tin shed’ type structure, and was refused on the grounds that the work was too significant to amount to ‘conversion’. The resulting judgement would have been more clear if it had had the effect of banning all open-sided ‘tin shed’ Dutch barn type applications, leaving only the more substantially walled barns suitable, as now there seems to be some that are permitted and some not. However, as the legislation is still relatively new, it is probably still worth making a submission if you have a redundant barn on your land (even an open sided type), as the value can be increased for minimal outlay. At the time of writing TSA Ltd has had a couple of open sided structures permitted, even after the Hibbitt case, so it is still largely a judgement call. 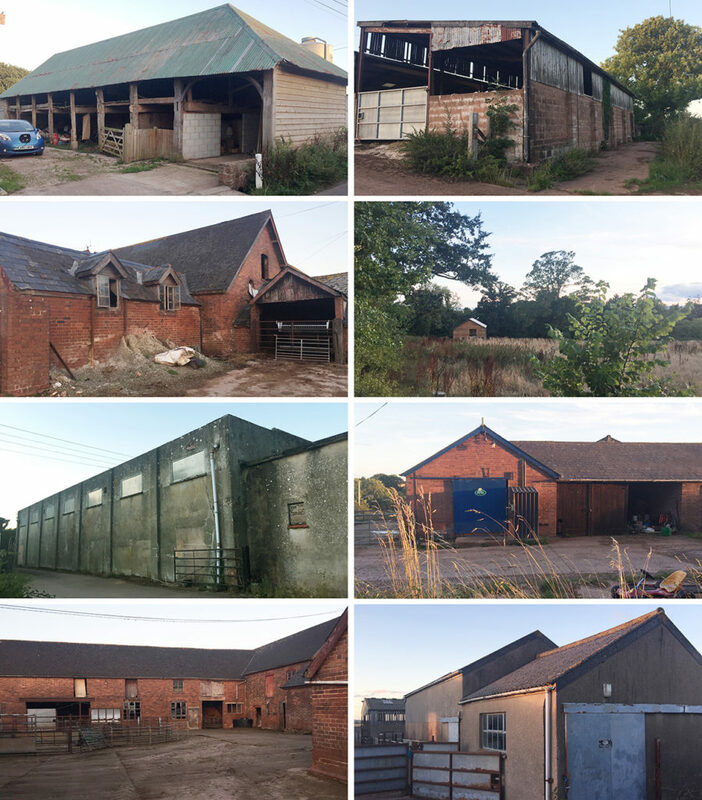 Finally, nationally there have been a few successful applications, whereby a basic barn is given Prior Approval for change of use to be converted, and then a second full planning application for a new dwelling(s) made, relying heavily on the ‘fallback’ argument. This fallback argument makes the case for the new dwelling(s) by essentially showing the new purpose built dwelling will be better for the occupants, and more attractive than the conversion that would otherwise be shoehorned into the existing barn envelope. The argument aims to approve something altogether better in spite of being generally against local planning policy. Its a long-term game, but with potentially higher rewards as the better dwelling(s) as a result will have more value. This is a greatly truncated summary of the Class Q system, and the caselaw is always changing things, so please continue your research or get in touch. Tom Spriggs Architect Ltd has experience in submitting Class Q applications and would be more than happy to discuss your potential projects.